Paperless Post, a company that has built a name for itself offering a cloud-based, visually engaging, way of sending people invites by email, is going retro: today the company is officially launching PAPER, a printed stationery business that it will sit alongside its less physical cousin, which now has 1.5 million registered users, and has sent out invites to 30 million more since going live in 2009. If the idea of a “paperless” company moving into paper sounds like an oxymoron, the bigger picture is that the company is still sticking to its core business. Not unlike business card counterpart Moo.com, PAPER still uses Paperless Post’s cloud-based service to design and manage the distribution of the finished product. More importantly, this is a way of bringing the business out to a wider customer base that will sometimes need more than just email, or access or create invites via an iPhone app, for special occasions like weddings and fancy parties. And in its move to printing, Paperless Post is offering a couple of disruptive elements in the form of price and production. The service is launching as a premium product, offering two thicknesses of card stock (120-pound and 250-pound), with pricing starting at $1.50 per card, including the envelope and liner. Alexa Hirschfeld, who co-founded the company with her brother James, notes this is a pretty decent discount on the $5 or more charged for printing of similar invites by more traditional invitation printers. 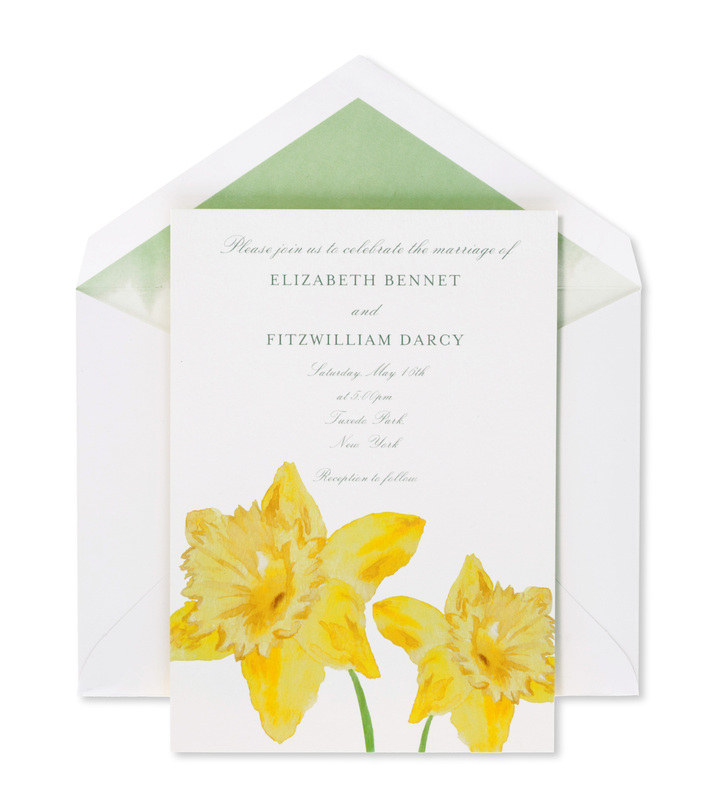 Similarly, while wedding invites usually need to be ordered in bulk, PAPER is giving users an option of ordering invites one at a time, so event organizaers will eventually be able to create a service whereby guests get emailed invites, but can request printed invites as mementos or keepsakes. James and Alexa note that this is just stage one of their effort in printing. Although they are focusing on premium events like weddings, they are so far not moving into features like letter press or embossing, although that could come if users request it. “Our product development has been very user driven and since we lancund in 2009,” says James, and that could lead it in different directions going forward. It’s also a question of business models: up to now Paperless Post has made money through the sale of premium services around its non-printed invitations — extra features on the invites and so on. But as Alexa says, “One of the great things about paper is that we can be more valuable,” by offering a larger margin on the printed product than it offers online. While PAPER is bound to keep evolving, the Hirschfelds also note that they are continuing to develop what they are offering users online. Currently, for example, paper invites are separate from the online invites, and there is no unique URL connecting those. “But they are coming,” says Alexa. The move into printing has been a learning curve of sorts for the Hirschfelds. On the one hand, the printing revolution, where companies like HP have created devices that are smaller and smaller but make better and better prints, has given companies like Paperless Post a much easier, and less expensive, entry into the market. Still, they to find the right printer to work with and the right price point with the right amount of flexibility for their service. Potentially, if they get it right, that could be used to print more than stationery someday. Paperless Post has to date received $12.3 million in funding from investors including Ram Shriram, Mousse Partners, Thrive Capital, RRE, SV Angel, the Crunchfund and Tim Draper.